Sovereignty is the full right and power of a governing body over itself, without any interference from outside sources or bodies. In political theory, sovereignty is a substantive term designating supreme authority over some polity. The term arises from the unattested Vulgar Latin's *superanus, (itself derived form of Latin super - "over") meaning "chief", "ruler". Its spelling, which varied from the word's first appearance in English in the fourteenth century, was influenced by the English "reign". Westphalian sovereignty – lack of other authority over state other than the domestic authority (examples of such other authorities could be a non-domestic church, a non-domestic political organization, or any other external agent). Ulpian was expressing the idea that the Emperor exercised a rather absolute form of sovereignty, that originated in the people, although he did not use the term expressly. Ulpian's statements were known in medieval Europe, but sovereignty was an important concept in medieval times. Medieval monarchs were not sovereign, at least not strongly so, because they were constrained by, and shared power with, their feudal aristocracy. Furthermore, both were strongly constrained by custom. Sovereignty existed during the Medieval period as the de jure rights of nobility and royalty, and in the de facto capability of individuals to make their own choices in life. Around c. 1380–1400, the issue of feminine sovereignty was addressed in Geoffrey Chaucer's Middle English collection of Canterbury Tales, specifically in The Wife of Bath's Tale. A later English Arthurian romance, The Wedding of Sir Gawain and Dame Ragnell (c. 1450), uses many of the same elements of the Wife of Bath's tale, yet changes the setting to the court of King Arthur and the Knights of the Round Table. The story revolves around the knight Sir Gawain granting to Dame Ragnell, his new bride, what is purported to be wanted most by women: sovereignty. To have sovereignty without lies. Absolute: On this point he said that the sovereign must be hedged in with obligations and conditions, must be able to legislate without his (or its) subjects' consent, must not be bound by the laws of his predecessors, and could not, because it is illogical, be bound by his own laws. Perpetual: Not temporarily delegated as to a strong leader in an emergency or to a state employee such as a magistrate. He held that sovereignty must be perpetual because anyone with the power to enforce a time limit on the governing power must be above the governing power, which would be impossible if the governing power is absolute. Bodin rejected the notion of transference of sovereignty from people to the ruler (also known as the sovereign); natural law and divine law confer upon the sovereign the right to rule. And the sovereign is not above divine law or natural law. He is above (ie. not bound by) only positive law, that is, laws made by humans. 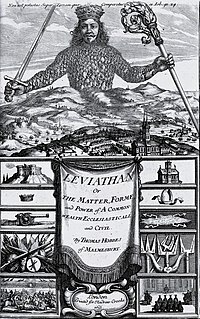 He emphasized that a sovereign is bound to observe certain basic rules derived from the divine law, the law of nature or reason, and the law that is common to all nations (jus gentium), as well as the fundamental laws of the state that determine who is the sovereign, who succeeds to sovereignty, and what limits the sovereign power. Thus, Bodin’s sovereign was restricted by the constitutional law of the state and by the higher law that was considered as binding upon every human being. The fact that the sovereign must obey divine and natural law imposes ethical constraints on him. Bodin also held that the lois royales, the fundamental laws of the French monarchy which regulated matters such as succession, are natural laws and are binding on the French sovereign. Despite his commitment to absolutism, Bodin held some moderate opinions on how government should in practice be carried out. He held that although the sovereign is not obliged to, it is advisable for him, as a practical expedient, to convene a senate from whom he can obtain advice, to delegate some power to magistrates for the practical administration of the law, and to use the Estates as a means of communicating with the people. Bodin believed that “the most divine, most excellent, and the state form most proper to royalty is governed partly aristocratically and partly democratically”. With his doctrine that sovereignty is conferred by divine law, Bodin predefined the scope of the divine right of kings. During the Age of Enlightenment, the idea of sovereignty gained both legal and moral force as the main Western description of the meaning and power of a State. In particular, the "Social contract" as a mechanism for establishing sovereignty was suggested and, by 1800, widely accepted, especially in the new United States and France, though also in Great Britain to a lesser extent. Absolute: because conditions could only be imposed on a sovereign if there were some outside arbitrator to determine when he had violated them, in which case the sovereign would not be the final authority. Indivisible: The sovereign is the only final authority in his territory; he does not share final authority with any other entity. Hobbes held this to be true because otherwise there would be no way of resolving a disagreement between the multiple authorities. Hobbes' hypothesis—that the ruler's sovereignty is contracted to him by the people in return for his maintaining their physical safety—led him to conclude that if and when the ruler fails, the people recover their ability to protect themselves by forming a new contract. Hobbes's theories decisively shape the concept of sovereignty through the medium of social contract theories. Jean-Jacques Rousseau's (1712–1778) definition of popular sovereignty (with early antecedents in Francisco Suárez's theory of the origin of power), provides that the people are the legitimate sovereign. Rousseau considered sovereignty to be inalienable; he condemned the distinction between the origin and the exercise of sovereignty, a distinction upon which constitutional monarchy or representative democracy is founded. John Locke, and Montesquieu are also key figures in the unfolding of the concept of sovereignty; their views differ with Rousseau and with Hobbes on this issue of alienability. The second book of Jean-Jacques Rousseau's Du Contrat Social, ou Principes du droit politique (1762) deals with sovereignty and its rights. Sovereignty, or the general will, is inalienable, for the will cannot be transmitted; it is indivisible, since it is essentially general; it is infallible and always right, determined and limited in its power by the common interest; it acts through laws. Law is the decision of the general will in regard to some object of common interest, but though the general will is always right and desires only good, its judgment is not always enlightened, and consequently does not always see wherein the common good lies; hence the necessity of the legislator. But the legislator has, of himself, no authority; he is only a guide who drafts and proposes laws, but the people alone (that is, the sovereign or general will) has authority to make and impose them. Rousseau, in the Social Contract argued, "the growth of the State giving the trustees of public authority more and means to abuse their power, the more the Government has to have force to contain the people, the more force the Sovereign should have in turn in order to contain the Government," with the understanding that the Sovereign is "a collective being of wonder" (Book II, Chapter I) resulting from "the general will" of the people, and that "what any man, whoever he may be, orders on his own, is not a law" (Book II, Chapter VI) – and furthermore predicated on the assumption that the people have an unbiased means by which to ascertain the general will. Thus the legal maxim, "there is no law without a sovereign." There exists perhaps no conception the meaning of which is more controversial than that of sovereignty. It is an indisputable fact that this conception, from the moment when it was introduced into political science until the present day, has never had a meaning which was universally agreed upon. An important factor of sovereignty is its degree of absoluteness. A sovereign power has absolute sovereignty when it is not restricted by a constitution, by the laws of its predecessors, or by custom, and no areas of law or policy are reserved as being outside its control. International law; policies and actions of neighboring states; cooperation and respect of the populace; means of enforcement; and resources to enact policy are factors that might limit sovereignty. For example, parents are not guaranteed the right to decide some matters in the upbringing of their children independent of societal regulation, and municipalities do not have unlimited jurisdiction in local matters, thus neither parents nor municipalities have absolute sovereignty. Theorists have diverged over the desirability of increased absoluteness. A key element of sovereignty in a legalistic sense is that of exclusivity of jurisdiction. Specifically, the degree to which decisions made by a sovereign entity might be contradicted by another authority. Along these lines, the German sociologist Max Weber proposed that sovereignty is a community's monopoly on the legitimate use of force; and thus any group claiming the same right must either be brought under the yoke of the sovereign, proven illegitimate, or otherwise contested and defeated for sovereignty to be genuine. International law, competing branches of government, and authorities reserved for subordinate entities (such as federated states or republics) represent legal infringements on exclusivity. Social institutions such as religious bodies, corporations, and competing political parties might represent de facto infringements on exclusivity. De jure, or legal, sovereignty concerns the expressed and institutionally recognised right to exercise control over a territory. De facto, or actual, sovereignty is concerned with whether control in fact exists. Cooperation and respect of the populace; control of resources in, or moved into, an area; means of enforcement and security; and ability to carry out various functions of state all represent measures of de facto sovereignty. When control is practiced predominantly by military or police force it is considered coercive sovereignty. State sovereignty is sometimes viewed synonymously with independence, however, sovereignty can be transferred as a legal right whereas independence cannot. A state can achieve de facto independence long after acquiring sovereignty, such as in the case of Cambodia, Laos and Vietnam. Additionally, independence can also be suspended when an entire region becomes subject to an occupation such as when Iraq had been overrun by the forces to take part in the Iraq War of 2003, Iraq had not been annexed by any country, so its sovereignty during this period was not contested by any state including those present on the territory. Alternatively, independence can be lost completely when sovereignty itself becomes the subject of dispute. The pre-World War II administrations of Latvia, Lithuania and Estonia maintained an exile existence (and considerable international recognition) whilst their territories were annexed by the Soviet Union and governed locally by their pro-Soviet functionaries. When in 1991 Latvia, Lithuania and Estonia re-enacted independence, it was done so on the basis of continuity directly from the pre-Soviet republics. Another complicated sovereignty scenario can arise when regime itself is the subject of dispute. In the case of Poland, the People's Republic of Poland which governed Poland from 1945 to 1989 is now seen to have been an illegal entity by the modern Polish administration. The post-1989 Polish state claims direct continuity from the Second Polish Republic which ended in 1939. For other reasons however, Poland maintains its communist-era outline as opposed to its pre-World War II shape which included areas now in Belarus, Czech Republic, Lithuania, Slovakia and Ukraine but did not include some of its western regions that were then in Germany. At the opposite end of the scale, there is no dispute regarding the self-governance of certain self-proclaimed states such as Republic of Abkhazia, Republic of South Ossetia or the Republic of Kosovo (see List of states with limited recognition) since their governments neither answer to a bigger state, nor is their governance subjected to supervision. The sovereignty (i.e. legal right to govern) however, is disputed in all three cases as the first two entities are claimed by Georgia and the third by Serbia. Internal sovereignty is the relationship between a sovereign power and the political community. A central concern is legitimacy: by what right does a government exercise authority? Claims of legitimacy might refer to the divine right of kings or to a social contract (i.e. popular sovereignty). With Sovereignty meaning holding supreme, independent authority over a region or state, Internal Sovereignty refers to the internal affairs of the state and the location of supreme power within it. A state that has internal sovereignty is one with a government that has been elected by the people and has the popular legitimacy. Internal sovereignty examines the internal affairs of a state and how it operates. It is important to have strong internal sovereignty in relation to keeping order and peace. When you have weak internal sovereignty, organisations such as rebel groups will undermine the authority and disrupt the peace. The presence of a strong authority allows you to keep agreement and enforce sanctions for the violation of laws. The ability for leadership to prevent these violations is a key variable in determining internal sovereignty. The lack of internal sovereignty can cause war in one of two ways: first, undermining the value of agreement by allowing costly violations; and second, requiring such large subsidies for implementation that they render war cheaper than peace. Leadership needs to be able to promise members, especially those like armies, police forces, or paramilitaries will abide by agreements. The presence of strong internal sovereignty allows a state to deter opposition groups in exchange for bargaining. It has been said that a more decentralized authority would be more efficient in keeping peace because the deal must please not only the leadership but also the opposition group. While the operations and affairs within a state are relative to the level of sovereignty within that state, there is still an argument between who should hold the authority in a sovereign state. This argument between who should hold the authority within a sovereign state is called the traditional doctrine of public sovereignty. This discussion is between an internal sovereign or an authority of public sovereignty. An internal sovereign is a political body that possesses ultimate, final and independent authority; one whose decisions are binding upon all citizens, groups and institutions in society. Early thinkers believe sovereignty should be vested in the hands of a single person, a monarch. They believed the overriding merit of vesting sovereignty in a single individual was that sovereignty would therefore be indivisible; it would be expressed in a single voice that could claim final authority. An example of an internal sovereign or monarch is Louis XIV of France during the seventeenth century; Louis XIV claimed that he was the state. Jean-Jacques Rousseau rejected monarchical rule in favor of the other type of authority within a sovereign state, public sovereignty. Public Sovereignty is the belief that ultimate authority is vested in the people themselves, expressed in the idea of the general will. This means that the power is elected and supported by its members, the authority has a central goal of the good of the people in mind. The idea of public sovereignty has often been the basis for modern democratic theory. Within the modern governmental system, internal sovereignty is usually found in states that have public sovereignty and rarely found within a state controlled by an internal sovereign. A form of government that is a little different from both is the UK parliament system. John Austin argued that sovereignty in the UK was vested neither in the Crown nor in the people but in the "Queen-in-Parliament". This is the origin of the doctrine of parliamentary sovereignty and is usually seen as the fundamental principle of the British constitution. With these principles of parliamentary sovereignty majority control can gain access to unlimited constitutional authority, creating what has been called "elective dictatorship" or "modern autocracy". Public sovereignty in modern governments is a lot more common with examples like the USA, Canada, Australia and India where government is divided into different levels. "Sovereignty." A government which exercises de facto administrative control over a country and is not subordinate to any other government in that country or a foreign sovereign state. External sovereignty is connected with questions of international law – such as: when, if ever, is intervention by one country into another's territory permissible? Following the Thirty Years' War, a European religious conflict that embroiled much of the continent, the Peace of Westphalia in 1648 established the notion of territorial sovereignty as a norm of noninterference in the affairs of other nations, so-called Westphalian sovereignty, even though the actual treaty itself reaffirmed the multiple levels of sovereignty of the Holy Roman Empire. This resulted as a natural extension of the older principle of cuius regio, eius religio (Whose realm, his religion), leaving the Roman Catholic Church with little ability to interfere with the internal affairs of many European states. It is a myth, however, that the Treaties of Westphalia created a new European order of equal sovereign states. In international law, sovereignty means that a government possesses full control over affairs within a territorial or geographical area or limit. Determining whether a specific entity is sovereign is not an exact science, but often a matter of diplomatic dispute. There is usually an expectation that both de jure and de facto sovereignty rest in the same organisation at the place and time of concern. Foreign governments use varied criteria and political considerations when deciding whether or not to recognise the sovereignty of a state over a territory. Membership in the United Nations requires that "[t]he admission of any such state to membership in the United Nations will be effected by a decision of the General Assembly upon the recommendation of the Security Council." Sovereignty may be recognized even when the sovereign body possesses no territory or its territory is under partial or total occupation by another power. The Holy See was in this position between the annexation in 1870 of the Papal States by Italy and the signing of the Lateran Treaties in 1929, a 59-year period during which it was recognised as sovereign by many (mostly Roman Catholic) states despite possessing no territory – a situation resolved when the Lateran Treaties granted the Holy See sovereignty over the Vatican City. Another case, sui generis, though often contested, is the Sovereign Military Order of Malta, the third sovereign entity inside Italian territory (after San Marino and the Vatican City State) and the second inside the Italian capital (since in 1869 the Palazzo di Malta and the Villa Malta receive extraterritorial rights, in this way becoming the only "sovereign" territorial possessions of the modern Order), which is the last existing heir to one of several once militarily significant, crusader states of sovereign military orders. In 1607 its Grand masters were also made Reichsfürst (princes of the Holy Roman Empire) by the Holy Roman Emperor, granting them seats in the Reichstag, at the time the closest permanent equivalent to a UN-type general assembly; confirmed 1620). These sovereign rights were never deposed, only the territories were lost. 100 modern states still maintain full diplomatic relations with the order (now de facto "the most prestigious service club"), and the UN awarded it observer status. The governments-in-exile of many European states (for instance, Norway, Netherlands or Czechoslovakia) during the Second World War were regarded as sovereign despite their territories being under foreign occupation; their governance resumed as soon as the occupation had ended. The government of Kuwait was in a similar situation vis-à-vis the Iraqi occupation of its country during 1990–1991. The government of Republic of China was recognized as sovereign over China from 1911 to 1971 despite that its mainland China territory became occupied by Communist Chinese forces since 1949. In 1971 it lost UN recognition to Chinese Communist-led People's Republic of China and its sovereign and political status as a state became disputed and it lost its ability to use "China" as its name and therefore became commonly known as Taiwan. The International Committee of the Red Cross is commonly mistaken to be sovereign. It has been granted various degrees of special privileges and legal immunities in many countries,[which?] that in cases like Switzerland are considerable, The Committee is a private organisation governed by Swiss law. Just as the office of head of state can be vested jointly in several persons within a state, the sovereign jurisdiction over a single political territory can be shared jointly by two or more consenting powers, notably in the form of a condominium. Likewise the member states of international organizations may voluntarily bind themselves by treaty to a supranational organization, such as a continental union. In the case of the European Union members states this is called "pooled sovereignty". Another example of shared and pooled sovereignty is the Acts of Union 1707 which created the unitary state now known as the United Kingdom. It was a full economic union, meaning the Scottish and English systems of currency, taxation and laws regulating trade were aligned. Nonetheless, Scotland and England never fully surrendered or pooled all of their governance sovereignty; they retained many of their previous national institutional features and characteristics, particularly relating to their legal, religious and educational systems. In 2012, the Scottish Government, created in 1998 through devolution in the United Kingdom, negotiated terms with the Government of the United Kingdom for the Scottish independence referendum, 2014 which resulted in the people of Scotland deciding to continue the pooling of its sovereignty with the rest of the United Kingdom. A community of people who claim the right of self-determination based on a common ethnicity, history and culture might seek to establish sovereignty over a region, thus creating a nation-state. Such nations are sometimes recognised as autonomous areas rather than as fully sovereign, independent states. Different interpretations of state sovereignty in the United States of America, as it related to the expansion of slavery and fugitive slave laws, led to the outbreak of the American Civil War. Depending on the particular issue, sometimes both northern and southern states justified their political positions by appealing to state sovereignty. Fearing that slavery would be threatened by results of the 1860 presidential election, eleven slave states declared their independence from the federal Union and formed a new confederation. The United States government rejected the secessions as rebellion, declaring that secession from the Union by an individual state was unconstitutional, as the states were part of an indissolvable federation. Creation is the process by which new land is reclaimed from the sea such as in the Netherlands. There exist vastly differing views on the moral basis of sovereignty. A fundamental polarity is between theories that assert that sovereignty is vested directly in the sovereigns by divine or natural right and theories that assert it originates from the people. In the latter case there is a further division into those that assert that the people transfer their sovereignty to the sovereign (Hobbes), and those that assert that the people retain their sovereignty (Rousseau). During the brief period of absolute monarchies in Europe, the divine right of kings was an important competing justification for the exercise of sovereignty. The Mandate of Heaven had some similar implications in China. A republic is a form of government in which the people, or some significant portion of them, retain sovereignty over the government and where offices of state are not granted through heritage. A common modern definition of a republic is a government having a head of state who is not a monarch. Democracy is based on the concept of popular sovereignty. In a direct democracy the public plays an active role in shaping and deciding policy. Representative democracy permits a transfer of the exercise of sovereignty from the people to a legislative body or an executive (or to some combination of legislature, executive and Judiciary). Many representative democracies provide limited direct democracy through referendum, initiative, and recall. Parliamentary sovereignty refers to a representative democracy where the parliament is ultimately sovereign and not the executive power nor the judiciary. Classical liberals such as Stuart Mill consider every individual as sovereign. Realists view sovereignty as being untouchable and as guaranteed to legitimate nation-states. Rationalists see sovereignty similarly to realists. However, rationalism states that the sovereignty of a nation-state may be violated in extreme circumstances, such as human rights abuses. Internationalists believe that sovereignty is outdated and an unnecessary obstacle to achieving peace, in line with their belief of a 'global community'. In the light of the abuse of power by sovereign states such as Hitler's Germany or Stalin's Soviet Union, they argue that human beings are not necessarily protected by the state whose citizens they are, and that the respect for state sovereignty on which the UN Charter is founded is an obstacle to humanitarian intervention. Anarchists and some libertarians deny the sovereignty of states and governments. Anarchists often argue for a specific individual kind of sovereignty, such as the Anarch as a sovereign individual. Salvador Dalí, for instance, talked of "anarcho-monarchist" (as usual for him, tongue in cheek); Antonin Artaud of Heliogabalus: Or, The Crowned Anarchist; Max Stirner of The Ego and Its Own; Georges Bataille and Jacques Derrida of a kind of "antisovereignty". Therefore, anarchists join a classical conception of the individual as sovereign of himself, which forms the basis of political consciousness. The unified consciousness is sovereignty over one's own body, as Nietzsche demonstrated (see also Pierre Klossowski's book on Nietzsche and the Vicious Circle). See also sovereignty of the individual and self-ownership. Imperialists hold a view of sovereignty where power rightfully exists with those states that hold the greatest ability to impose the will of said state, by force or threat of force, over the populace of other states with weaker military or political will. They effectively deny the sovereignty of the individual in deference to either the 'good' of the whole, or to divine right. According to Matteo Laruffa "sovereignty resides in every public action and policy as the exercise of executive powers by institutions open to the participation of citizens to the decision-making processes"
Another topic is whether the law is held to be sovereign, that is, whether it is above political or other interference. Sovereign law constitutes a true state of law, meaning the letter of the law (if constitutionally correct) is applicable and enforceable, even when against the political will of the nation, as long as not formally changed following the constitutional procedure. Strictly speaking, any deviation from this principle constitutes a revolution or a coup d'état, regardless of the intentions. Look up sovereignty in Wiktionary, the free dictionary. ^ a b c d e f "sovereignty (politics)". Encyclopædia Britannica. Retrieved 5 August 2010. ^ "Sovereign". Dictionary.com Unabridged. Random House. ^ a b Núñez, Jorge Emilio (2014). "About the Impossibility of Absolute State Sovereignty". International Journal for the Semiotics of Law. 27 (4): 645–664. doi:10.1007/s11196-013-9333-x. ^ a b Núñez, Jorge Emilio (2015). "About the Impossibility of Absolute State Sovereignty: The Middle Ages". International Journal for the Semiotics of Law. 28 (2): 235–250. doi:10.1007/s11196-014-9379-4. ^ Biersteker, Thomas; Weber, Cynthia (1996). State Sovereignty as Social Construct. Cambridge Studies in International Relations. 46. Cambridge University Press. ISBN 9780521565998. ^ a b c d e Krasner, Professor Stephen D. (2001). Problematic Sovereignty: Contested Rules and Political Possibilities. pp. 6–12. ISBN 9780231121798. ^ Wallerstein, Immanuel (2004). World-Systems Analysis: An Introduction. Duke University Press. p. 44. ISBN 9780822334422. ^ Hinsley, F. H. (1986-11-20). Sovereignty. ISBN 9780521339889. ^ "Sovereignty". www.tititudorancea.com. Retrieved 2018-11-26. ^ "Chaucer's tale of the Wife of Bath". Archived from the original on 21 February 2009. Retrieved 10 January 2009. ^ a b "The Wedding of Sir Gawain and Dame Ragnell". Retrieved 10 January 2009. ^ Bodin, Six livres, 6:254 (VI:vi). ^ Rousseau, Jean-Jacques. The Social Contract. http://www.earlymoderntexts.com/assets/pdfs/rousseau1762.pdf. ^ Social Contract, Book II, Chapter III. ^ Stallybrass, William Teulon Swan (1918). "A society of states: Or, Sovereignty, independence, and equality in a league of nations". ^ Newton, Kenneth. Foundations of comparative politics: democracies of the modern world. Cambridge: Cambridge University Press, 2005. ^ a b c Talmon, Stefan (1998). Recognition of Governments in International Law. Oxford Monographs in International Law Series. Oxford University Press. p. 50. ISBN 9780198265733. ^ Mälksoo, Lauri (2003). Illegal Annexation and State Continuity: The Case of the Incorporation of the Baltic States by the USSR. M. Nijhoff Publishers. p. 193. ISBN 978-9041121776. ^ Heywood, Andrew. "Political Theory". pg. 92. Palgrave Macmillan. Archived from the original on 24 December 2011. Retrieved 25 June 2011. ^ Heywood, Andrew. "Political Theory". pg. 93. Palgrave Macmillan. Archived from the original on 24 December 2011. Retrieved 21 June 2011. ^ Andreas Osiander, "Sovereignty, International Relations, and the Westphalian Myth", International Organization Vol. 55 No. 2 (Spring 2001), pp. 251–287. ^ "UN Chart, Article 2". Archived from the original on 8 December 2013. Retrieved 4 October 2011. ^ United Nations General Assembly Session 48 Resolution 265. Observer status for the Sovereign Military Order of Malta in the General Assembly A/RES/48/265 Retrieved 10 September 2007. ^ Nolan, Cathal J. (2002). The Greenwood Encyclopedia of International Relations. Volume 4. Greenwood Publishing Group. p. 1559. ISBN 9780313323836. ^ By formal agreement between the Swiss government and the ICRC, Switzerland grants full sanctity of all ICRC property in Switzerland including its headquarters and archive, grants members and staff legal immunity, exempts the ICRC from all taxes and fees, guarantees the protected and duty-free transfer of goods, services, and money, provides the ICRC with secure communication privileges at the same level as foreign embassies, and simplifies Committee travel in and out of Switzerland. On the other hand Switzerland does not recognize ICRC issued passports Archived 10 May 2011 at the Wayback Machine. ^ "About the International Committee of the Red Cross". 2010-10-29. ^ Peterson, John (1997). "The European Union: Pooled Sovereignty, Divided Accountability". Political Studies. 45 (3): 559–578. doi:10.1111/1467-9248.00096. ^ McNaughton, Neil (2003). Understanding British and European political issues : a guide for A2 politics studies. Manchester University Press. p. 207. ISBN 978-0719062452. ^ Mannin, Michael L. (2010). British government and politics balancing Europeanization and independence. Rowman & Littlefield Publishers. p. 134. ISBN 9780742567771. ^ Jesse, Neal G.; Williams, Kristen P. (2005). Identity and institutions: conflict reduction in divided societies. State Univ. of New York Press. p. 120. ISBN 978-0791464519. ^ R. Mitchison, A History of Scotland (London: Routledge, 3rd edn., 2002), ISBN 0415278805, p. 314. ^ McCann, Philip (2016). The UK Regional–National Economic Problem: Geography, globalisation and governance. Routledge. p. 372. ISBN 9781317237174. ^ Malanczuk, Peter (1997). Akehurst's Modern Introduction to International Law. International politics/Public international law. Routledge. pp. 147–152. ISBN 9780415111201. ^ Montesquieu, The Spirit of the Laws (1748), Bk. II, ch. 1. ^ "Republic". Merriam-Webster. Retrieved 14 August 2010. ^ Beatrice Heuser: "Sovereignty, self-determination and security: new world orders in the 20th century", in Sohail Hashmi (ed. ): State Sovereignty: Change and Persistence in International Relations (Philadelphia: Pennsylvania University Press, 1997). Benton, Lauren (2010). A Search for Sovereignty: Law and Geography in European Empires, 1400–1900. Cambridge University Press. ISBN 978-0-521-88105-0. Philpott, Dan (2016). Sovereignty. Stanford Encyclopedia of Philosophy. Metaphysics Research Lab, Stanford University. Prokhovnik, Raia (2007). Sovereignties: contemporary theory and practice. Houndmills, Basingstoke, Hampshire New York, N.Y: Palgrave Macmillan. ISBN 9781403913234. Prokhovnik, Raia (2008). Sovereignty: history and theory. Exeter, UK Charlottesville, VA: Imprint Academic. ISBN 9781845401412. Thomson, Janice E. (1996). Mercenaries, pirates, and sovereigns: state-building and extraterritorial violence in early modern Europe. Princeton University Press. ISBN 978-0-691-02571-1. This page was last edited on 7 April 2019, at 21:55 (UTC).